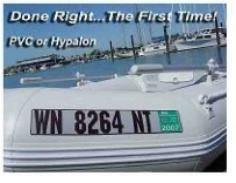 Boat Number Plates at Waypoint! Resticking or painting your boat numbers? Are your board flopping around and/or breaking? Do enforcement officials ask where your decal is? 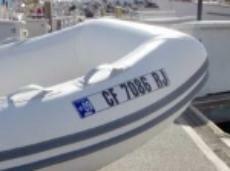 Have trouble aligning separate boat numbers? 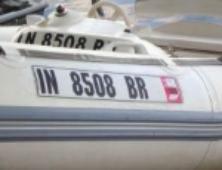 Then boat number plates are the solution. 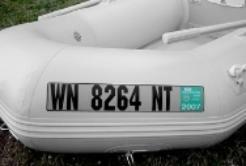 glue on your inflatable boat (materials and adhesives not included).